Don’t you think it looks good on the spread shown above? 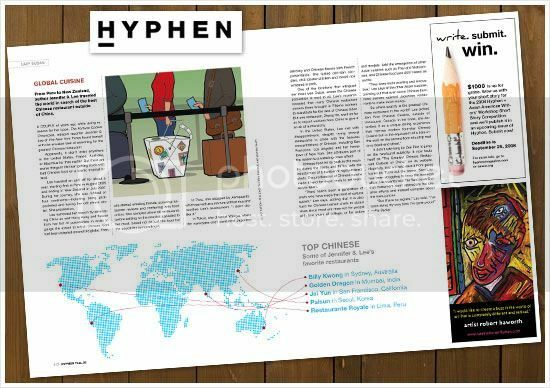 Hyphen is a national magazine for urban, in-the-know Asian Americans. Covering arts, culture and politics with substance, style and sass, Hyphen has become a media must for one of the fastest growing populations in America. Plus, Hyphen is a nonprofit mag with an all-volunteer staff that does it all for the love. You can support them by subscribing the magazine too. Very nice, congrats on this! Congrats! It’s always nice to get your work featured. Дискутировать можно бесконечно, поэтому просто хочу поблагодарить автора. Спасибо!